You have a few investment pieces on your mind this month: A fresh console table, mix-and-match dining chairs, and maybe even a new sofa. But before you sell your soul (and spend all your money) on a pricey sectional, you’ll have to lay the groundwork. Step one? A rug. The only downside of buying a new rug, of course, is the price tag. 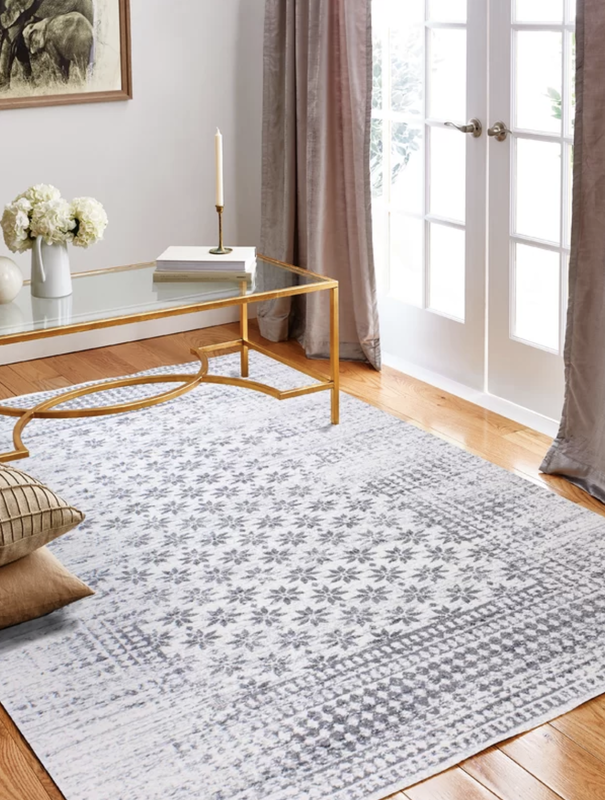 Luckily, Wayfair’s winter bed and bath sale is still going on—and it features area rugs of all shapes, sizes, materials, and colorways for up to 70% off. With only one day of deals left, we rounded up eight of our favorite picks at prices you’ll actually want to pay. Turn a neglected hallway into a bold catwalk with an eclectic runner. When you want a rug that says “I’m still fun” but “don’t spill wine on me,” go for one with a playful pattern and neutral color scheme. We picture this woven jute rug in an earth-toned living room surrounded by terra-cotta planters, live-edge wooden side tables, and natural fiber art. Unlike its four-cornered counterparts, this budget-friendly jute makes a statement with its surprising shape. Equal parts graphic and cozy, this cushy tribal rug is the perfect marriage of work and play. For the beach and beyond, a navy-and-white striped rug is a tried-and-true classic. Balance the distressed detail of this breezy floral rug with solid brass accents and downright cool seating. You shouldn’t ever feel restricted by one specific palette. Instead, tie a room with several different colored accents together with this vibrant anchor.